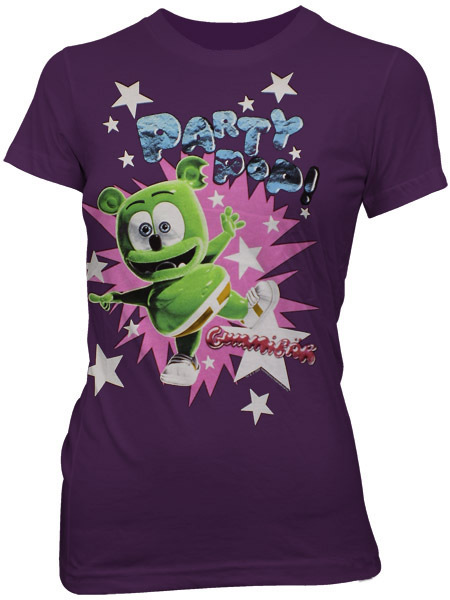 Gummibär Screen Printed Womens T-Shirt - Gummybear International Inc.
Trendy, light-weight, longer, fitted LADIES shirt. Juniors sizing from Small to XL. Available for purchase at the Gummibar webstore here.